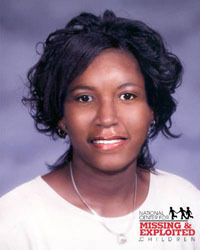 Vinyette Teague`s mysterious abduction was a very brief news story in the major Chicago papers and newscasts in the summer of 1983. 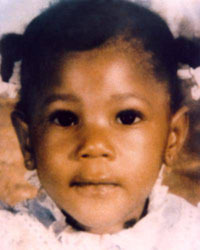 Vinyette was a sweet but cautious child, Kathy Teague said, and was very particular about who could hold her. On the night of June 25, 1983, she perched most of the evening in the lap of a trusted neighbor who was helping watch Teague`s four kids while Teague and Vinyette`s father, went to a drive-in movie. The air was thick and hot, and the neighbor, Kathy Teague`s mother, her two sisters and her cousin were sitting with a large group of neighbors out in a porch area playing cards and talking. 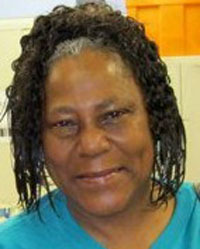 The phone rang and Kathy Teague`s mother went inside the apartment. Then her sisters drifted off and the cousin left and the trusted neighbor went to do the dishes. A short time later, Vinyette was gone. No one had seen anything. She was 18 months old and was not even wearing any shoes. Kathy Teague`s best and most optimistic guess is that someone saw Vinyette at the playground the afternoon she disappeared and decided to adopt her. ``She was a really pretty child, with a big, beautiful smile,`` Teague said. ``And I`m not just saying that because I`m her mother. The feeling in my heart is that she`s alive - that someone just wanted her for their own.``She still has nightmares about Vinyette`s abduction and she feels her absence sharply around the holidays and the anniversary of the disappearance. Kathy provides peer support to a searching family as a trained volunteer with Team HOPE/National Center for Missing & Exploited Children.